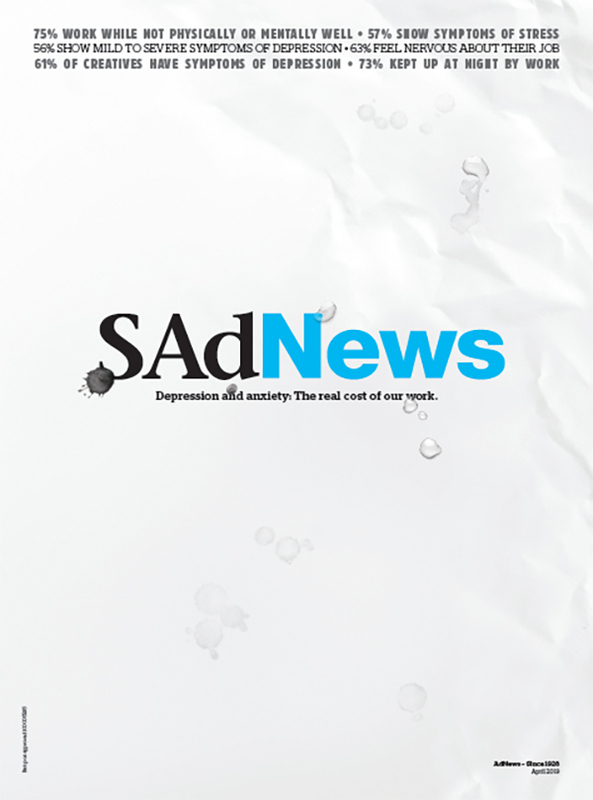 The Brand Agency Perth creative team Lachy Banton and Niall Stephen have created the current cover of national trade publication AdNews, in response to a brief from Youngbloods to address the issue of mental health in the industry. It is one of the first initiative’s of the revamped organisation, which has restructured to have a national reach rather than four separate state-based entities as it has been previously. Brand Agency Account Manager and Chair of Youngbloods WA, Sarah Kappeler, is co-chair of the national group. The brief was given to teams from VIC, NSW, QLD and WA, with Banton and Stephen’s concept being chosen as the winner. Read the story behind the cover here. Great work. Harsh reality. CampaignGrief?